How many of us can thank our ‘old man’ for introducing us to something which is far beyond an interest it is a way of life. If it wasn’t for my dad putting me on a bike all those years ago I wouldn’t be here writing this article. I’m sure this rings true for many including Dirk Scholl of Krank Kustom Motorcycles Chester, England. 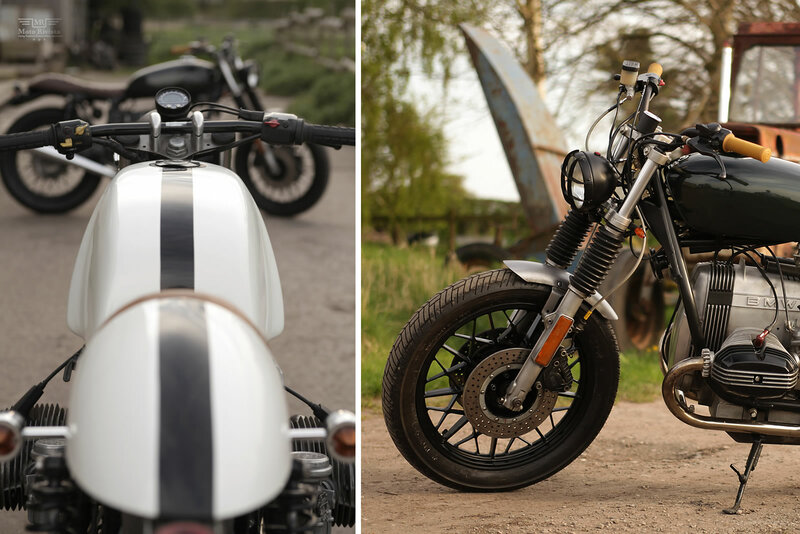 Before we get down to Dirk’s story take a few minutes to look over today’s feature bike a Custom BMW R65 Roadster. Who better to tell the story than the man himself…over to you Dirk “I got started restoring and customizing motorcycles in September 2012. It all started when my dad gave me a little folding moped as a young nipper and I haven’t looked back since. I am originally from Germany and after living in America for almost twenty years I now live in sunny Northern England. I had a commissioned BMW café racer build followed by a commissioned Harley Superglide restoration to get me started. As I work full time in the construction industry these builds take approximately five or six months to complete. Currently I am working on a full nut and bolt restoration of a 1972 Triumph Bonneville T120R. 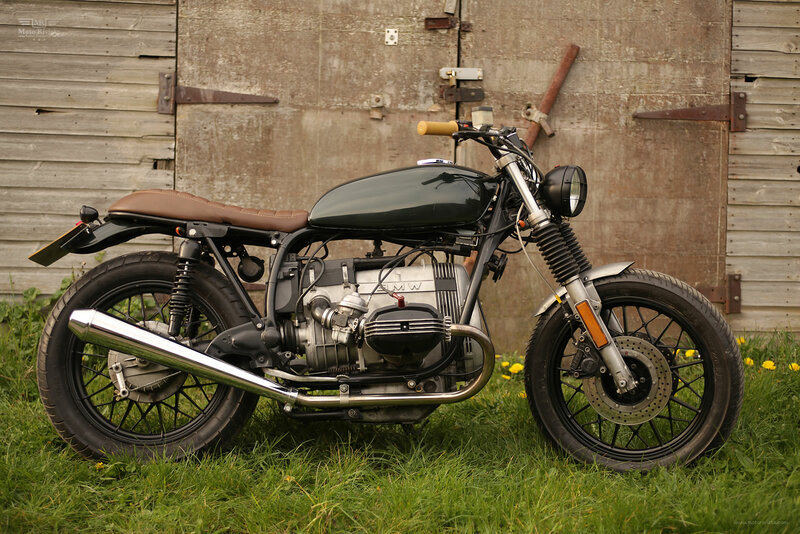 This BMW R65 Roadster build started as a clean and well sorted donor bike. 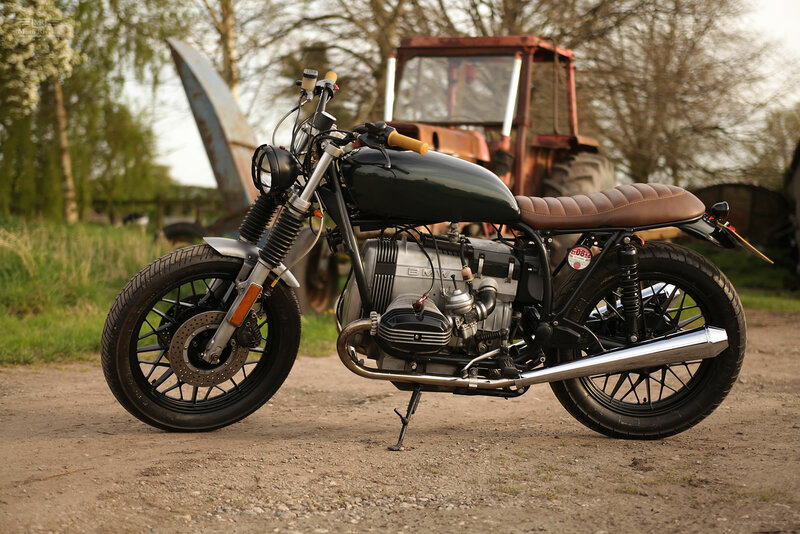 There was no commission for this build and therefore this BMW R65 Roadster reflects my own personal taste. That being said it sold very quickly and now resides in London. It took approximately 120 amazingly enjoyable hours to build. I had a couple of mates help me here and there with the heavy lifting. The biggest challenge was to identify the right petrol tank for the beefy BMW R65 Roadster frame. The cowhide seat has got to be my favorite part of this bike. The bike features a stock frame with the sub-frame shortened and slightly upswept. The frame and wheels are powder coated in satin black. High rise Renthal road bars in satin black using stock switch gear and Biltwell Kung Fu Grips. The speedo is a German MMB unit and the cockpit warning lights and ignition switch have been relocated to behind the headstock. The headlight is a bate style, grilled unit in satin black mounted to a custom bracket located on the bottom yoke. The fuel tank is an early Kawasaki KH item. For the front fender a Harley Davidson unit was shortened. It also works as a very stable fork brace. The seat is entirely custom made from marine ply, four layers of fibreglass and real cowhide. It follows the gentle undulations of the sub-frame perfectly. A BMW R80 front fender served as the donor for the rear fender to which a bate style rear light and license plate are fitted. Reverse cone silencers from Germany give the bike a deep rumble without being crazy loud. The engine is stock and having the smaller flywheel is possibly the best airhead made. Metzeler Lasertec rubber really works with these old BMWs and the handling is not bad at all. The paint job is Epsom Green metallic as used by Land Rover”.